This is the smaller version of the StageLite FX. In this case, the three bars are controlled manually. The light beam is generated by three independent optical planes with 48 RGBW LEDs, 1.2W each, 12 per color. 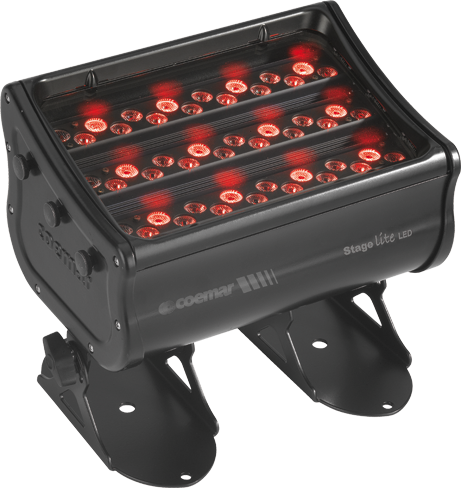 Asymmetric and symmetric beam in one single fixture: StageLite Led SC is a truly unique fixture in which it can be focused asymmetrically on a cyclorama, used as a foot wash, up lit, or used for an effects. The vertical beam zoom from 11° to 34° can be also focused from +56° to -52°.